Drone (DORNE) is originally a word meaning “male bee”. Speaking of “drone” many people think that it imagines a radio control that fly in the sky with four rotating feathers. It will be a kind of drone, but it will be widely “unmanned aerial vehicle”. Technology that came to attract social attention tends to be ambiguous in definition, social media and artificial intelligence. As attention gathers spread variety of technology development, or if you do not miss the trend, the number of people who call similar technology with the same name increases, and the area grows gradually and it becomes ambiguous. The image of “unmanned aircraft” is strong, but there are other drones that run on the ground and run on water or underwater. Looking at the current situation, it seems that a new genre “Drone” is establishing. Compared to the conventional radio control helicopter, it has become much easier to steer. By using multiple rotating feathers, operability is up. Incidentally, the radio control helicopter also enters the drone. You can experience the bird’s eye. Drone aerial shoot attraction | “Feel like becoming a bird just!” What is bird view watching? By linking cameras and tablet terminals etc., it is possible to take pictures as if they were “viewpoint as if they are flying in the sky”. This is because the cost and parts have been lightened and evolved along with popularization of smartphones. Equipped with various sensors, you can fly with high stability, and in the aircraft equipped with GPS, it will automatically steer the hovering. Especially phantom 4 from DJI company automatically returns to the original place with “obsolete obstacle detection function” and “return to home function”, “Battery out”, “When the connection between the propo and drone main unit is cut off”, “One button” There is also a function that will do. Why did Drone come out recently? In recent years, unmanned aircraft are actively researched. It is related to the spread of smartphones. As smartphones circulate this world, the technology has been applied and converted to drones as it is. Distribution of smaho is also related to that drone became able to buy this “cheap” as much. Therefore, Drone is also known as “Flying Smartphone”. What is the place where Drone can play? Today, the use of drone is evolving day by day. Naturally, the big characteristic of Drone is “ability to fly in the sky”. Because it is flying in the sky, you can move regardless of obstacles on the ground. Then you can float accurately (hovering) in the desired position in the air. Humans are living in a three-dimensional world, but in fact there are only two-dimensional directions that can move freely. Moving in the air can approach three dimensions by building an elevator or scaffolding, or by using an airplane. In other words, human beings can only move about “2 · 5 dimension” while it is a three dimensional existence. Until now humans could only move “2.5 and 5”, so there is new value for drones there. If it is a drone, it will be beyond these restrictions, it will be possible to freely move the space and use the space itself. In transporting goods, you can make the air itself a road without creating a new road. “Fly in the sky” will be the basis for utilizing the drone. Drone can also act autonomously. It is that it is possible to maneuver without having to remember complicated movements like the former radio control helicopter. Drone has a certain degree of difference, but because autonomous flying is possible, everyone can enjoy its value. Furthermore, it is worthwhile to get tired of human beings, to perform such actions as to cause concentration to disappear if it is a drone or to be able to act even in places that people can not do. With current technology, we can carry only a few kilograms of baggage at most. Therefore, although bell-bell stuff is limited, opportunities to collect information such as cameras and sensors can be installed without problems. As mentioned earlier, drone is called “flying smart phone” and can freely move through the space, so great value is gained in the field of information gathering. By loading the camera and relaying as it is, you can see it with the “bird view” bird’s eye. By using a special camera such as infrared rays, it will be possible to make contact with a completely new world that has never existed. This characteristic allows the pilot to communicate with the people around the place where the robot is located, while being in a remote place, or to have customers in stores away from the place. There are also problems in health, and for those who can not go out, there are cases where you go to school while staying at home or a hospital. It is said to be the so-called “telepresence robot”, but drones will be the forerunners of it. Moreover, it has the possibility of not seeing yet by combining it with other new technology such as artificial intelligence and virtual reality. Is it possible to purchase drones even for ordinary people? Where can I buy it? Currently, there is no license in the drone, anyone can easily purchase it and skip it. Although there is a great possibility that a drone license etc. will be necessary from now on. If it is a toy drone (Toy Lone), you can also purchase it at a general toy store, the Internet, Amazon, Rakuten etc. As long as it is a Toy Lone that is under 200 g outside legal regulation, you can skip without permission. As a matter of course, minimum morality is necessary to fly. ompared with function and price! 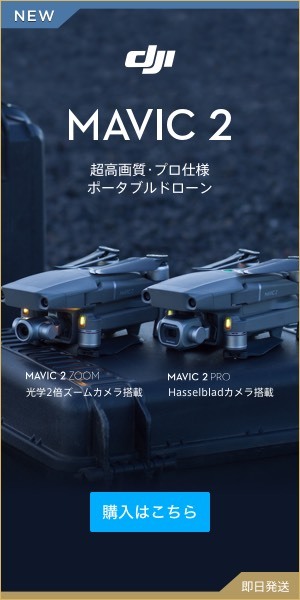 Phantom and other drone that can also be used for business purposes There are also regular shops such as Sekido, but there are still few stores in the current situation, so I think the current situation is to purchase online via internet selling. As a little personal taste, as well as a new business opportunity, drone is very attractive. d the actual direction or trying first, so I recommend you to purchase a hobby dron about 5000 yen first. I touch a drone for the first time and it is quite moving! It is! Let’s feel the new era together! Actually I can understand if you can skip the phantom etc, but I really fly with a sound like a bigger wings of “bear”.